In our final selection of photobook gift suggestions, we share four fantastic books on photography -- all of which contain no photographs, but are all fascinating commentary on the medium. They're also all under $15. See the first post here and the second here. All items are in stock or will be arriving shortly. And for those circumstances where it's better to let the gift recipient choose, we also offer gift certificates in any amount. Jason Eskenazi's The Americans List came out earlier this fall and has already become one of photo-eye's best sellers of the year. 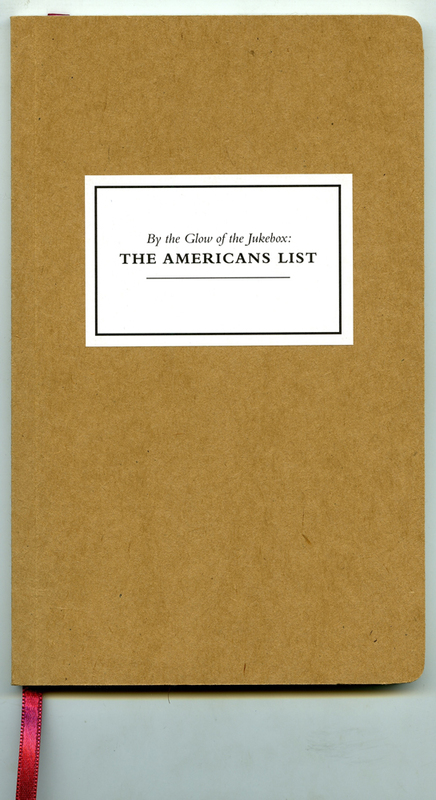 The Americans List is a companion to arguably the most influential photobook of all time -- The Americans by Robert Frank. While working as s security guard at the MET in New York during the exhibition of the Robert Frank Looking In exhibition, Eskenazi started asking photographers what their favorite image from the exhibition was and why. The project grew to include comments from 276 photographers like Mary Ellen Mark, Joel Meyerowitz, Jeffrey Ladd, Robert Frank, Martin Parr, Philip Perkis, David Alan Harvey, Bill Burke, Josef Koudelka, John Gossage, Juliana Beasley, Sara Terry, Mark Steinmetz, Vanessa Winship, Alec Soth and many more, and the resulting book is a fantastic new way in to Frank's seminal work in the context of contemporary photography. And at $13, the book is an easy addition to any photographic library. The History of Photography in Pen & Ink is small enough to be a stocking stuffer, but is far more enjoyable than most other $12 similarly-sized items. The pocket sized book (subtitled 'Abridged Study Guide') is full of 43 pen & ink drawings of iconic images from the history of photography. 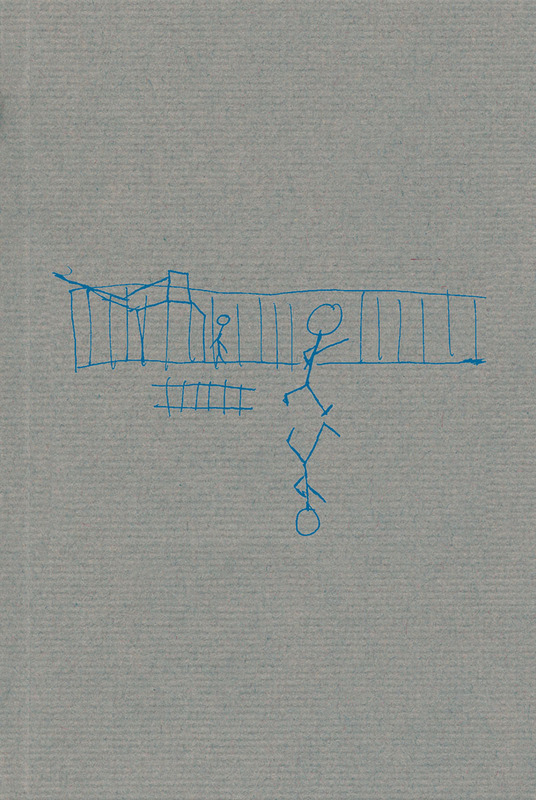 Initially created as study aids for a survey course in photography, the illustrations are composed of stick figures and crude attempts at more complicated renderings. The illustrations are funny and surprisingly very recognizable, making guessing the images a bit of a game for the visually informed. It's a fun gift for anyone with a love of photographic history. 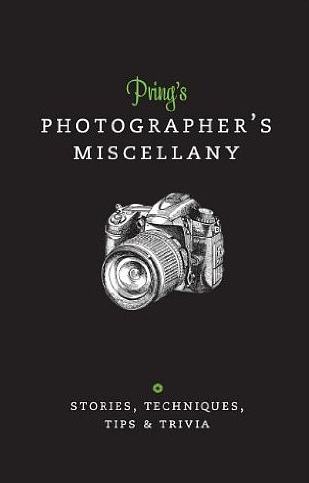 Full of various tid-bits from the world of photography, Pring's Photographer's Miscellany is a combination of useful information and fun facts, short bios of influential photographers, the derivation of acronyms, quotations, and pieces of photographic history. Originally conceived as a digital book, the printed copy is a handsome pocket-sized volume printed on beautiful cream-color paper with small photographs and pen and ink illustrations on every page. The short and engaging snippets of information make the book hard to put down, but fortunately it also includes a bright green bookmark to save you place when you have to. Starting as a fascinating blog, Photographs Not Taken, edited by Will Steacy, is a collection of essays from 62 photographers about the images they didn't make. "The essays all describe what Steacy calls the 'mental negatives,' or images that only exist in photographer’s memory or mind – the ones that got away. Reading through the essays, one is immediately struck by the reoccurrence of various themes – the camera is out of reach or out of film; the dilemma of capturing or experiencing a moment; the ethical decisions of helping, bearing witness or simply refusing to raise the camera in difficult moments; and pictures that simply escaped because the photographer was caught in the moment." From the review by Adam Bell. 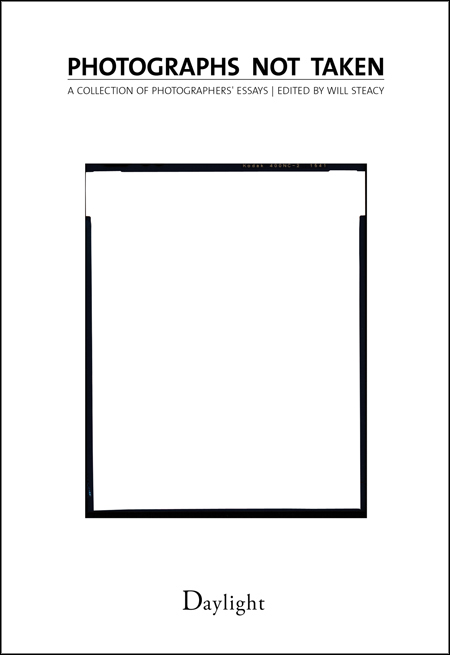 Photographs Not Take is an important volume for photographers and those who study or write about photography. Both fun and thought provoking, the essays touch on important ethical and philosophical issues relating to photography, and also tell a number of really great stories. See the first post here and the second here. And gift certificates can always be purchased here.